Wendy was extremely excited to receive an invitation for us to attend an exclusive tasting event for Canada’s entry into the Bocuse d’Or. For those who haven’t heard of it this biannual competition is an international event held in Lyon, France and will take place on January 29th and 30th this year. It’s one of the most prestigious awards to win for a chef and the competition has produced insane extravagances such as Spain’s 2005 1 million Euro entry inspired by Salvador Dali; they brought out their fish course in a one meter high crystal egg! 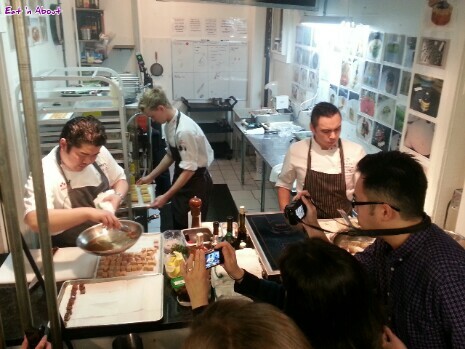 This year Chef Alex Chen of Vancouver earned entry into the competition. This is no easy feat, since of the 56 countries entering only the top 24 are chosen, and from there the competition is whittled down to just one representative per country, along with their Commis and Coach, to compete in the final event. Chen has previously held posts such as the Four Seasons in Toronto and Chicago and his most recent position as Executive Chef at the Beverly Hills Hotel, which he resigned in order to train for the Bocuse d’Or. 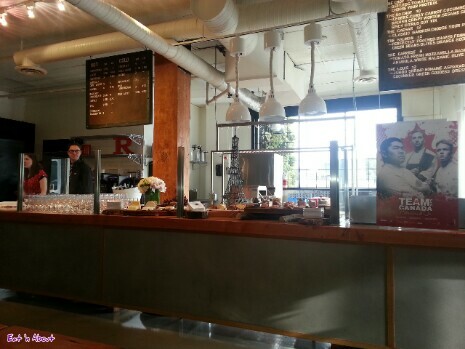 The tasting was held at the Railtown Cafe, where Chen has been borrowing their kitchen to refine his dishes in preparation. On arrival we were greeted with help-yourself platters of charcuterie, cheeses and spreads along with various bread and toasts, olives etc. The beverages included still and sparkling water as well as beer and wine; red, white and sparkling. The platters weren’t part of the competition entry, just something to tide us over until the mains. We filled a few plates in order to try and sample everything. I tried an interesting looking red olive which I’d never had before, tasted pretty much exactly like a regular black one though. 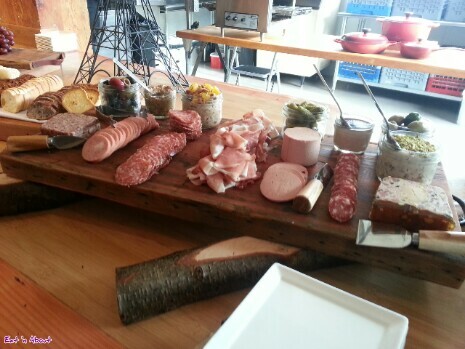 We were told many of the sources for the meats and cheeses but there was too much to take in and we forgot nearly everything. There was fois gras, Genoa salami, prosciutto, various pates including a duck, pistachio and mandarin orange one that I found scrumptious but Wendy wasn’t sold on. 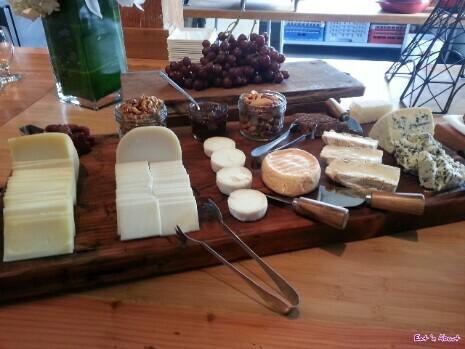 The cheeses were arranged left to right from mild to strong and included a creamy (and stinky) Oka, blue and some delicious chevre that gave the inside of my mouth a satisfying coat akin to creamy peanut butter 😛 We also sampled some home-made looking fruit leather, a couple of tiny cubes of jellied fruit, and candied walnuts which Wendy surprisingly didn’t go gaga over. 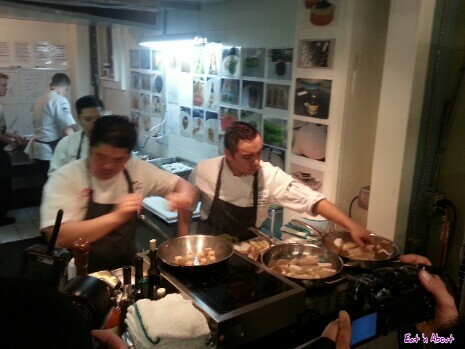 Once all the guests had arrived we were whisked into the back kitchen to watch Chen and his team work their magic putting the finishing touches on the main courses. It was impressive to see how calm he was with such a whirlwind of activity all around, even inviting people right into the kitchen space to take photos. We marveled at this huge black truffle…must have been worth a small fortune. 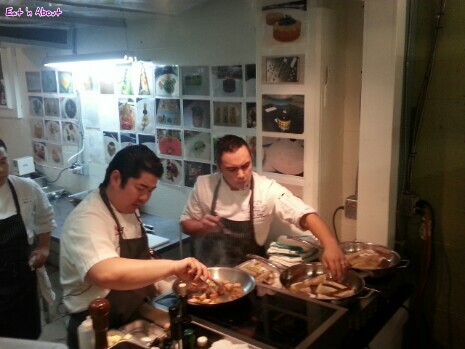 Back in the dining area, the dishes were divided into fish and meat, just like in the competition. 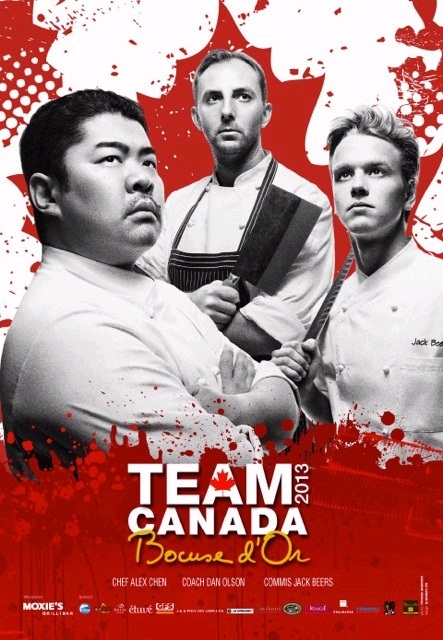 In the competition Chen will have five and a half hours to create 14 plated dishes for Turbot fish and French Blue Lobster, plus a platter presentation of Irish Beef filet. They will also have to present three garnishes, one of which must involve a local ingredient. We overheard what it’s going to be, but apparently it’s to be kept secret until the day of the event so I guess we shouldn’t divulge it here. The fish course was first to arrive. Neither of us has had Turbot before; it’s one of those bottom dwelling flatfish that has the weird migrating eye. It’s rare and commands a high price, which was to be a theme throughout the meal. Chen pan-roasted it bone-in, with a lobster vinaigrette that added just the right amount of its own flavour without overwhelming the fish. 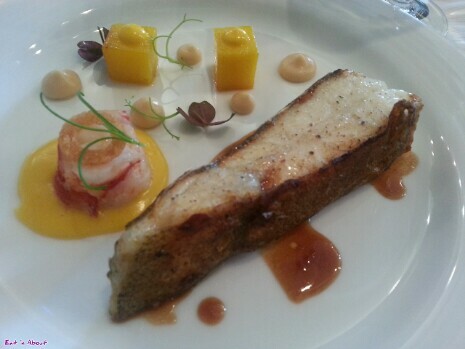 The Turbot was yummy of course, skin and all and it also contained some delicious gelatin near the tips of the steak. Meaty, rich and buttery, the fish was a very sensuous experience. We were also treated to a morsel of the extremely rare and pricey French Blue Lobster. This is something neither one of us would likely ever get to indulge in outside of this event so it was pretty exciting. It came on a bed of Lobster Hollandaise sauce and with a ring of intriguing crispy matter on top…we didn’t figure out what it was and forgot to ask. To be honest the lobster tasted like any other but knowing what it was we were eating made it just that much more satisfying I think. The plate was dolloped with cauliflower puree and cubes of saffron-infused potatoes topped with the aforementioned Hollandaise. Course 2: the meat! 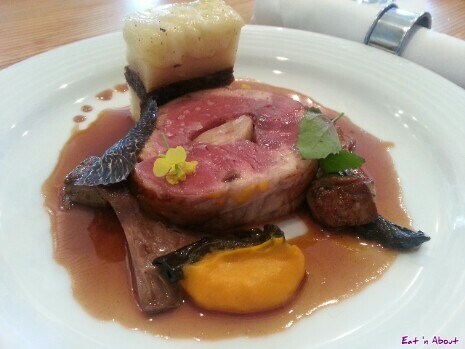 The main attraction was a slab of Roasted Beef Tenderloin Roulade, the outer circle of which was a ring of pancetta and was finished with a chunk of bone marrow dead center all topped off with a beef jus. It came surrounded by a number of mushrooms, one of which was Black Trumpet, a rare and difficult to spot variety. 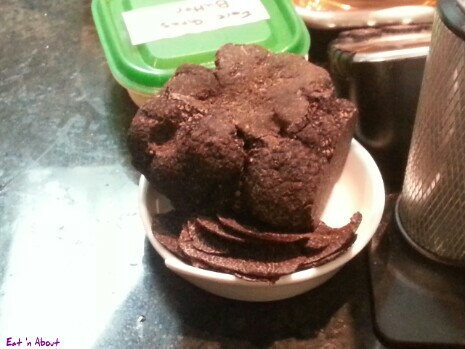 Also we were treated to a couple of large shavings from the huge chunk of Black Truffle we had spotted backstage. Wendy and I had never tried black truffle on its own before and reveled in the burst of nuanced earthy flavours. I’m not sure what the other mushroom was but my bets are on something exotic. All delicious of course. There was a small portion of carrot puree that served as a palate cleanser between meaty mouthfuls. The only part of the dinner that wasn’t a hit with Wendy was the Ox Tail Gratin. Funnily enough it was probably the highlight of mine, but as we often have to remind ourselves opposites attract 🙂 It was made up of two tiers of potato with melted cheese on top (I should have had the forethought to ask what type) sandwiching a layer of pulled ox tail and cheek with onion and spices. The potato was cut very finely into thin layers which were then stacked one on top of the other to form each tier. I found the texture reminiscent of a filo pastry, such as the bottom of a soggy spanakopita. Might not sound appetizing but in my opinion it worked perfectly. What didn’t work for me (but which, coincidentally, Wendy loved) was the seared fois gras. She liked how it melted in the mouth after breaking the fried outer layer and how rich and flavorful it was, but I just prefer it in original form I guess. 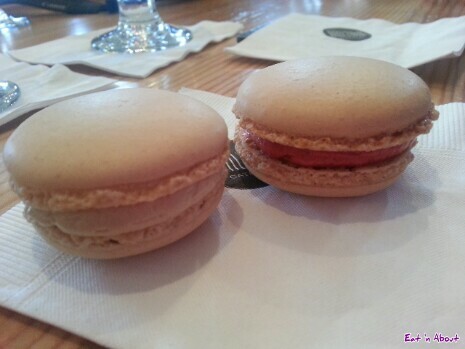 To round it off with dessert we helped ourselves to two flavours of home made macarons, one Maple and one Cherry Raspberry Vanilla. Macarons are on the top of Wendy’s dessert list but I normally don’t go for them, the sugary-ness drowns the flavour for me nine times out of ten. We both dug the maple one however. Chen came across as a brilliant yet exceedingly modest chef and a gracious host. 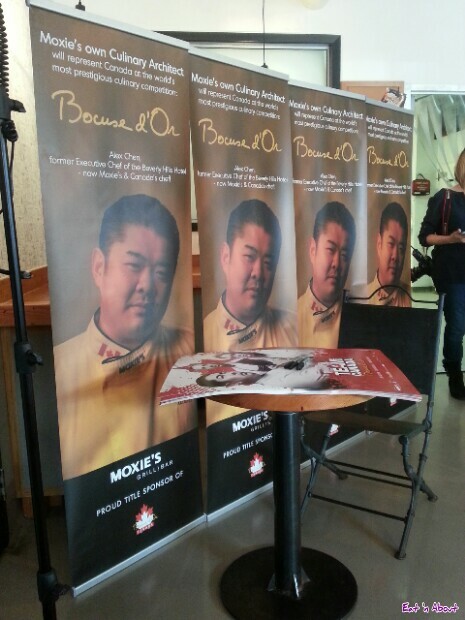 We wish him all the best at the Bocuse d’Or and as Culinary Architect at team sponsor Moxie’s Grill & Bar!